There are many instances in which it may be helpful to see the date that a Quote was closed. 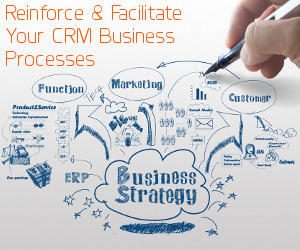 CRM includes a field to capture this information (Closed On). Knowing that for some organizations, it could be important to see a view, or chart including this information- we’ve built out workflow for several instances that auto- populates this date. 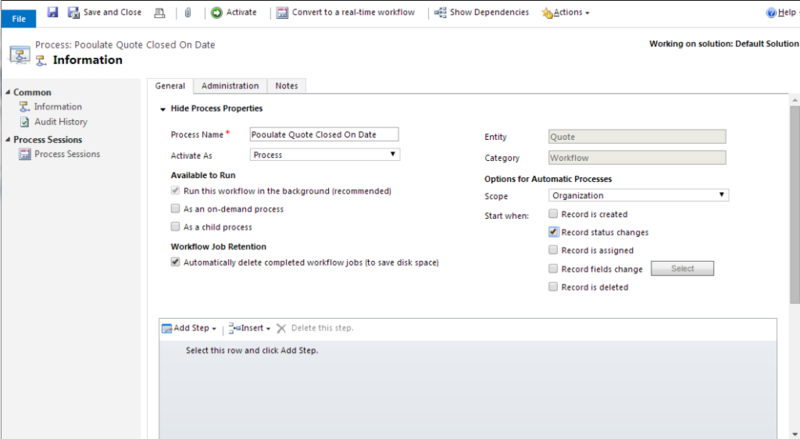 Since the Quote needs to “close” in order for the date that it closed exists, we need to add a few steps in workflow that aren’t always needed. 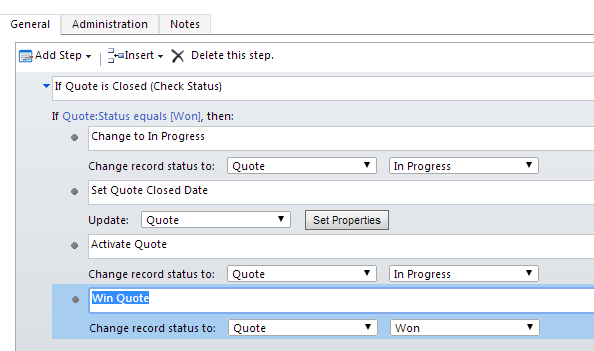 Next step is to update the record (Quote) Closed Date with the Process Execution Time. Now we need to reactivate the Quote before we can close it. You’ll want to take into account the fact that you can have multiple Status Reasons for a “Closed” Quote as well- Lost, Cancelled, Revised (and perhaps custom). 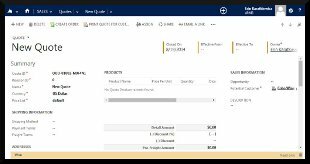 You can add conditional (otherwise) statements in this Workflow as applicable, but consider where you really want or need to see this information. Now how about some charts- Quotes Won this month by Owner? Quotes total amounts by week they were won? Have fun!